Giving to Bates College increased more than 30 percent for the second consecutive year, as the college received nearly $21.6 million from alumni, parents, and friends during the fiscal year that ended June 30. This past year’s 35 percent increase in philanthropy follows an increase of 33 percent in fiscal year 2014. This past year’s 35 percent increase in philanthropy to Bates follows an increase of 33 percent in fiscal year 2014. Gifts to the 2015 Bates Fund totaled $6.36 million from alumni, parents, and friends. 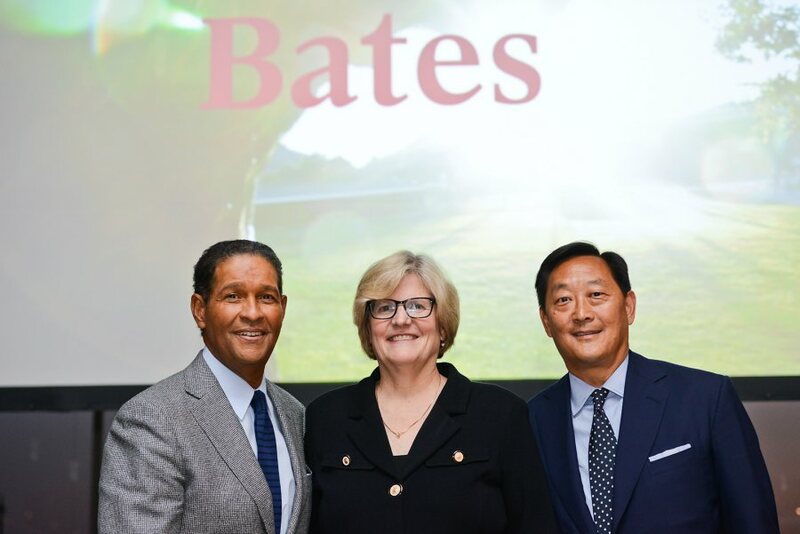 Within the Bates Fund total, gifts from Friends of Bates Athletics in support of Bobcat teams exceeded $580,000, an increase of 18 percent from 2014. Overall, giving amounted to $21,594,453. Engagement and philanthropy is on the rise across generations and regions. Reunion-year alumni increased their giving nearly 75 percent in 2015. This past year’s Presidential Events saw significant attendance increases over 2014 — up 76 percent in New York, 70 percent in Portland, Maine, 18 percent in San Francisco, and 10 percent in Los Angeles. The nearly 400 alumni, parents, and friends who attended the New York event at the Whitney Museum of American Art made it one of the best-attended off-campus Bates events ever.